I made this using The Craft’s Meow January sketch. The circle is cut with Quic Kutz die. Then I stamped a doily from Inkadinkado. I colored it with distress markers and added some Sakura glitter pen for shine. Buttons have a little twine on them and the butterfly is from my stash. I loved the simple sketch. Thank you for visiting and I appreciate and read each comment. 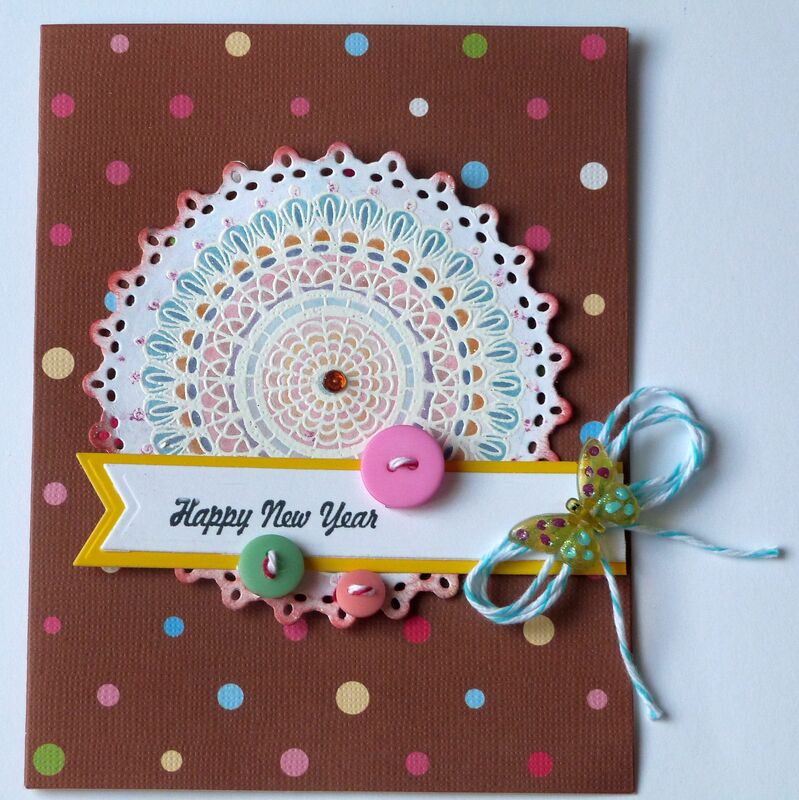 Wonderful card, love the layered circle,, your buttons and the butterfly &twine. Lovely! Thanks for joining us at Lexi’s Creations for our anything goes challenge!. Hi. This is so pretty and such a lovely design too. Thanks for sharing at Lexi’s Creations.